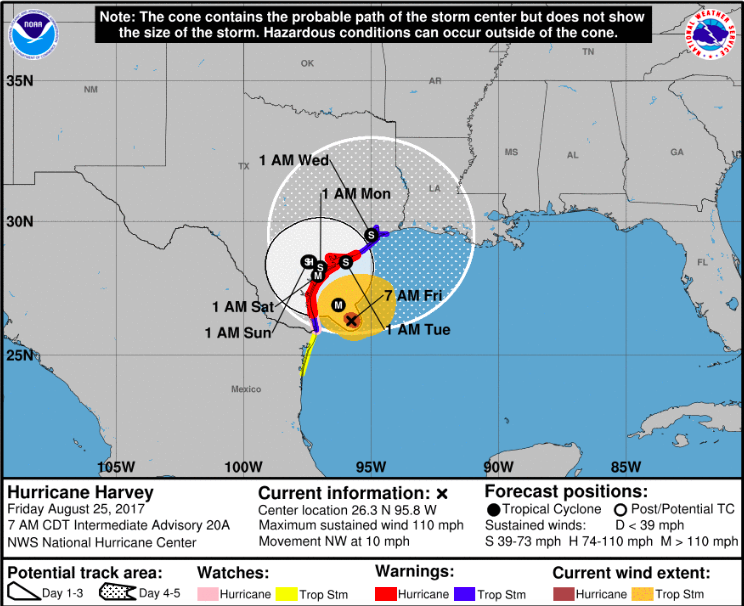 As Texas prepares for the imminent arrival of intensifying Hurricane Harvey, already a Category 2 storm, latest analysis shows the enormous potential values at stake. Just in from CoreLogic: More than 200,000 homes in Texas have the potential for storm surge damage with an estimated total reconstruction cost value (RCV) of almost $40 billion. 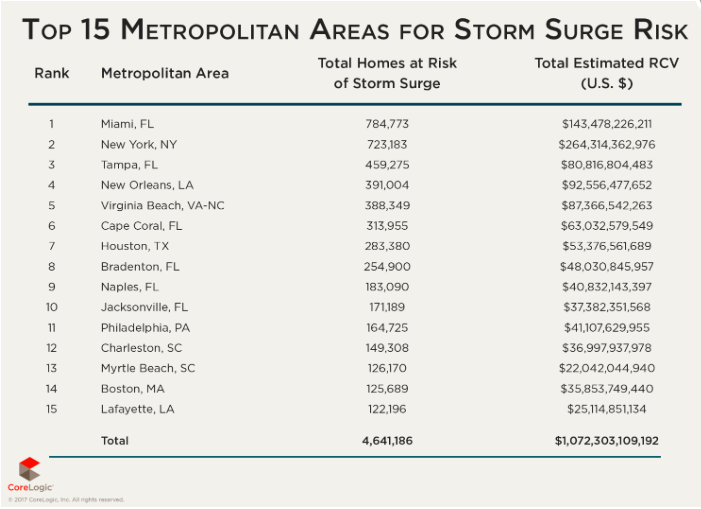 Houston, Texas ranks number 7 among the top 15 metropolitan areas for storm surge risk, with a potential 283,380 at-risk homes and an RCV of $53.4 billion. But don’t forget the potential impact of strong hurricane-force winds. 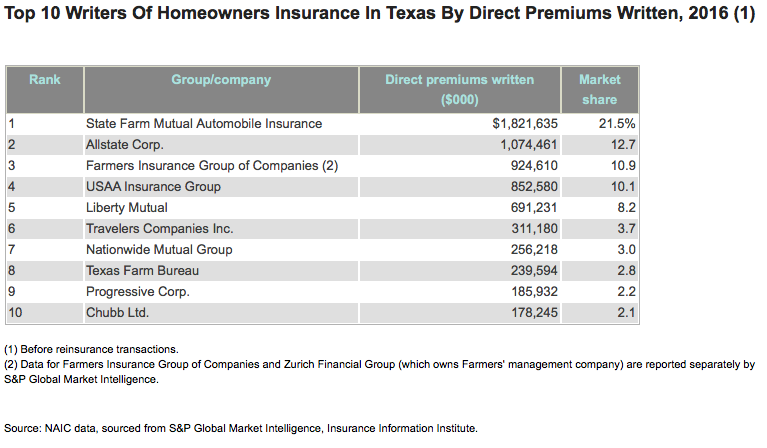 Earlier from AIR Worldwide: The insured value of residential and commercial properties in coastal areas of Texas totaled $1.2 trillion in 2012, accounting for 26 percent of the state’s total insured property exposure. 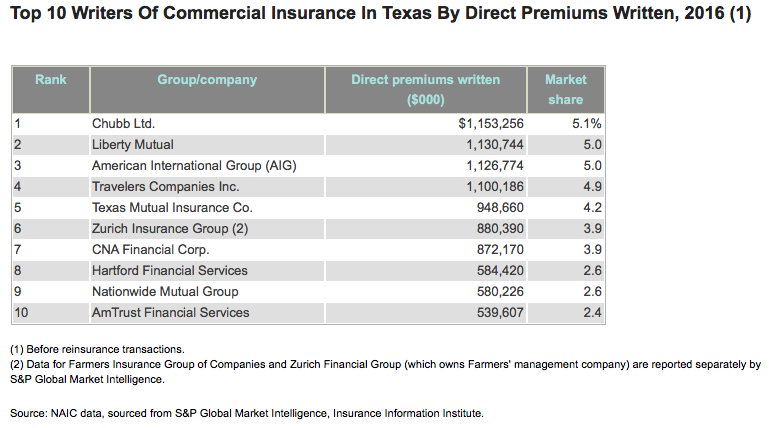 The Texas Windstorm Insurance Association (TWIA), is the state’s insurer of last resort for wind and hail coverage for Texas Gulf Coast residential and commercial property owners in the event of catastrophic loss. TWIA covers wind and hail in 14 coastal counties and parts of Harris County. TWIA has initiated its catastrophe plan. Insurers stand ready to assist all policyholders impacted by Harvey. A steady rise in the number and value of exposed properties along the U.S. Gulf and East Coasts continues Ã¢â‚¬“ and remains the largest factor increasing the hurricane risk of property insurers today, according to catastrophe modeling firm AIR Worldwide. AIR just released an updated version of its report The Coastline at Risk, showing that the insured value of residential and commercial properties (the replacement value or cost to rebuild) in coastal counties now exceeds $10 trillion. In coastal counties of Florida and New York, values approach $3 trillion in each state. Overall, AIR estimates that some 38 percent of the total exposure in Gulf and East coast states is located in coastal counties. This exposure accounts for nearly 16 percent of the total value of properties in the U.S.
New York edges Florida as the state with the highest coastal property values, at over $2.9 trillion, but Florida has the largest proportion of its value in coastal counties at 79 percent. More on this story from Claims Journal. Check out additional facts and statistics from the I.I.I. on hurricanes.